Hi everyone! 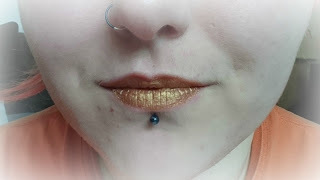 So I did a post a few a couple of weeks ago about my excitement for the Star Wars Lipsticks from Freedom Makeup! Post here if you want to see it! I didn't include any lip swatches because I was excited to get the post up, but I've had a request to show you what they look like on the lips, so now I've had a little more time, here are the lip swatches! First up is Space Luxe which is this gorgeous Gold. I wasn't sure what to expect with these lipsticks, but I'm actually really surprised with how good the quality is. This gold applies really well and the colour is surprisingly flattering on my skin tone! The next colour is Sky-Walker. 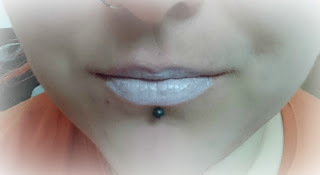 This is a light silvery colour, it does need building up a little bit though. The best way to do it with these lipsticks is to let the first layer dry and then apply another layer. I have worn this colour to work before and people have complimented how good it looks! 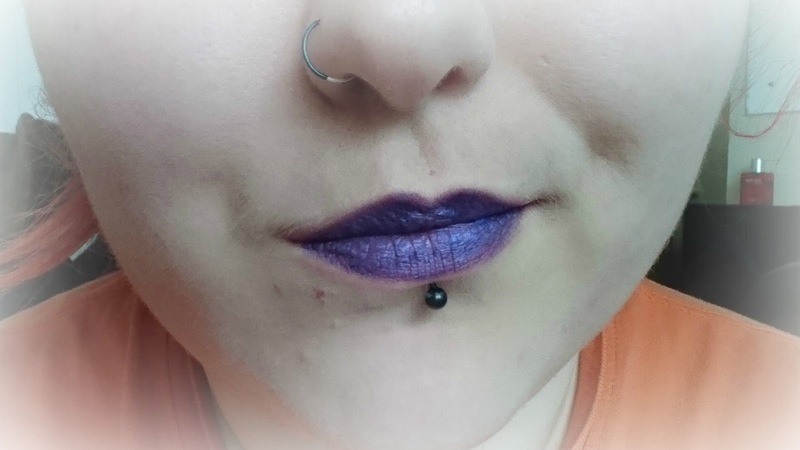 This metallic purple is called Far Away. This is definitely more up my street and looks SO good on. 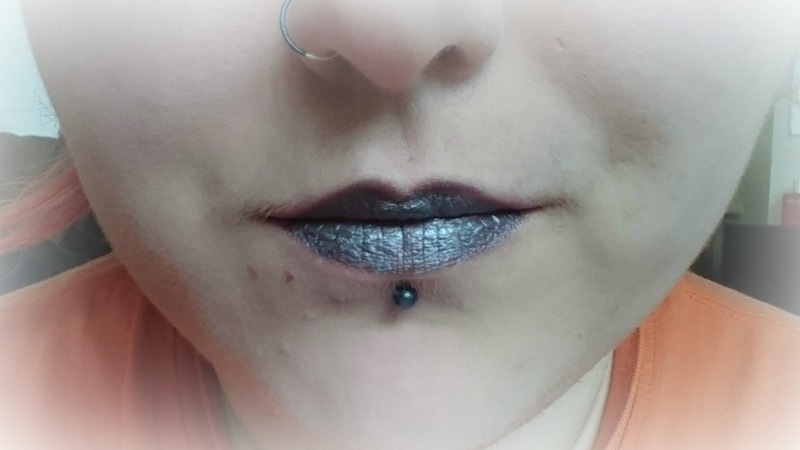 It's got a lovely metallic sheen to it and does stay pretty well on the lips. Sith is up next and it's this dark grey colour. It does have a slight metallic sheen to it but it's not as noticeable. This was easy to build up but I'm not sure on how long it lasts, although most of the colours in this collection last really well throughout the day. Once it has settled and dried a little, they don't transfer much and they last until eating. The last colour is Storm-Trooper and I haven't been able to wear it that much, mainly because it just looks like I smeared cocaine all over my lips! This one looks a little more patchy than the others but I think that is becasue it is so light. It clings to dry patches a little more too. I'm actually really surprised that this colour came out so well! I think this is out of my everyday kind of wear but I'll use it for highlights and costumes. Overall I'm super happy with the quality of these and I'm really glad I bought them! Although they're not for everyone's every day lip colour, I definitely don't feel bad wearing the majority of these colours to work! 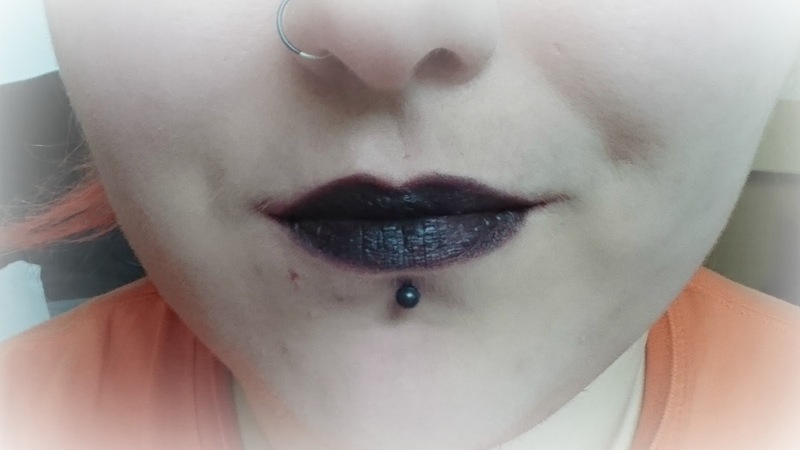 To say the collection is only £5 (obviously working out to £1 per lipstick) the quality is great and I would definitely recommend picking them up, even if it is just for costume wear! Have you tried these? Or have you tried any other products from Freedom? Let me know! Oh very cute colors sweetheart. My favorite shade was Far Away. By the way thanks for your comment on my review of Throne of Glass I am very happy that you liked. oh I actually love Space Luxe! Far Away looks also great! These are such fun shades! You pull off the cool tones so well! And the gold lips remind me of the Academy Award statuette. These look so funky!! Excellent swatches and review!